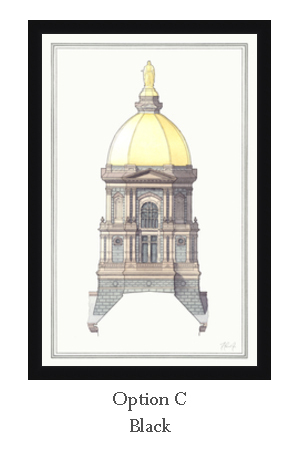 Notre Dame Golden Dome Watercolor Rendering Print — Jacques Levet, Jr.
Limited edition of 100 prints. Architectural Watercolor Rendering of the Golden Dome, 11"x17", drawn and painted by a Notre Dame alumnus. The perfect gift for any Notre Dame student, alum, or a recently accepted high school graduate. This print is large enough to be proudly hung on a wall and is also a great size to be placed on a desk or shelf. 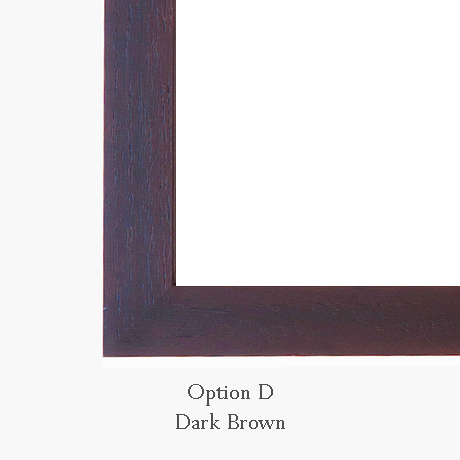 This print is available unframed, mounted to a styrene backing, or framed and ready to be hung. 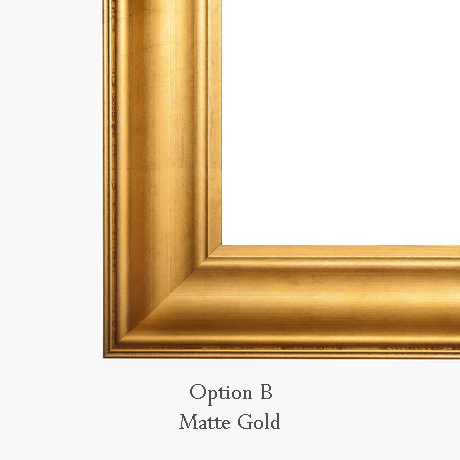 Framing is done by hand by a professional framer to ensure the highest quality. The frame designs available have been chosen particularly for this print, and your order will be ready for immediate hanging or display. Free gift packaging and a custom handwritten note included! Ground shipping is included in all prices. Please allow 5 days for shipping of unframed prints (includes processing and 2-day ground shipping). Due to the custom framing process, please allow 5-7 business days for production and an additional 1-5 business days for delivery (up to 12 days total).